I am pleased to have today author Rachel Wells with me. Rachel is the author of Enchanted. Hi everyone. 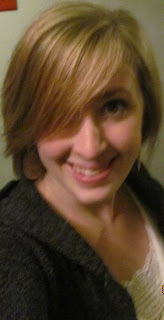 My name is Rachel Wells and I am an aspiring Indie author. 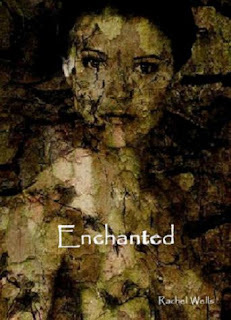 I have just recently put my YA paranormal romance, Enchanted, up for sale on the Nook and Kindle. I say “aspiring” because while I have finished my book (that was the “easy” part), I am finding that spreading the word about it is actually harder than I had thought! I am a new, unknown author and there are so many of us out there that it is quite easy to get lost and misplaced under all the new books that are constantly getting published every day. 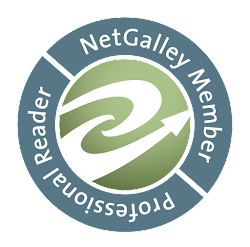 Which is why I am very grateful to Cristi at AlaskanBookCafe who has given me the amazing opportunity to guest post on her blog and hopefully reach some potential readers! So a little about myself…I’m a stay at home mom to three girls, married 13 years to a guy I met back in high school. I live in central Massachusetts where the summers are hot and the winters are even colder. I’ve got a creative side that I can’t ignore-I love anything crafty. I love autumn. My favorite holiday is Halloween and I’m drawn to anything “weird”, spooky, and/or paranormal. I love antiques and anything old-fashioned and learning about the way things used to be. I enjoy baking more than cooking, and of course it goes without saying that I love to read. Some of my favorite books are Little Women, Sister Carrie, The Help, and the Twilight series. As I said, I’ve got a creative side. Ever since elementary school I’ve enjoyed writing. I guess I always had an urge to write a full length book, but the prospect seemed very overwhelming, so I never really attempted it. Corny as it may sound, after reading and falling in love with Twilight, I looked up Stephenie Meyer and learned that she was also a mom who literally had a dream, wrote a book inspired by it, and actually got published! While I do not expect to do nearly as well as she did, I must say that she inspired me to try. As for where my idea for my book came from, I’ve been going to a town called York Beach, Maine, for summer vacations ever since I was a child. Now my husband and I take our kids there in summers, and we all love it. A few years ago I saw an ad for a ghost tour in York that offers a walk around tour at dusk of “haunted places” in the area. Of course, being interested in the paranormal, this grabbed my attention. I went online to try to discover more about the tour or the so called “haunted” places, because it had never crossed my mind that there were any ghosts wandering the little beach town! While searching I came across a bunch of information about the grave of a Mary Nasson in York, who was a reputed “witch”. Different websites gave different information about who she actually was and what actually happened, which put the wheels in motion for my story. In May of 2010 I began to write Enchanted, using Mary Nasson as my main influence. The story just developed from there. Let me tell you, writing is a long process! It was easy to start the book, because I was excited about the new-ness of my idea. However, at times I had no idea where the story was going and I felt as if I was almost waiting for the characters to reveal what was supposed to happen to me! I have read that you should write every day no matter what if you are really serious about finishing a story. For me, this was not true. Some days it was just impossible to write, either because I had too much going on with my kids or my other obligations (cleaning the house, cooking, etc. ), or I just had nothing to say and didn’t want to force it. I wrote when I knew what was supposed to happen in the story, and I wrote only at naptime or after my kids were in bed for the night. Sometimes I had a lot to write and sometimes I had only half a page. But I decided no matter what I was going to finish. After a little over a year of writing I did just that. Initially I had my heart set on getting published the traditional way, but then I started reading all the horror stories of unknown authors getting rejection letter after rejection letter, and that made me think twice. This past spring my husband surprised me with a Nook. I began reading books from the “Steals and Deals” section and discovered Indie writers, such as H.P. Mallory and Amanda Hocking for example, who were doing quite well for themselves with self-publishing. I decided if it was working for some people, it wouldn’t hurt me to try…shoot for the stars, right? Mandy is a quiet teenager who just wants to blend in with the crowd rather than stand out as anything or anybody. Mandy's pretty successful at this until her parents decide it's time to move from Boston to the quiet seaside town of York Beach, Maine, to "be closer to Nana". Although Mandy has been vacationing in York every summer since she was a child, she has no desire to live there and is worried about fitting in and finding friends during her senior year of high school. Nana owns a flower shop in town and while working alongside her, Mandy makes a few friends and observes the oddities of the little town and its inhabitants. When she finds some old correspondence hidden inside an antique trunk handed down from her Nana, the "oddities" turn into full-fledged mysteries. As she unravels the forgotten and hidden history of the town, she simultaneously unravels her own family's past and current secrets while writing her future. With bits of romance and paranormal along the way, she is able to figure out the puzzle of the correspondence, the magic she never realized was surrounding her, and visions of the past and future. Will she walk away from her personal history and her future or will she realize it's ok to be somebody, even if that somebody is nothing like everybody else? As Mandy approached the psychic, the little dog’s head flew up, his ears pointed up and alert. He whined and stood up, his little tail darting back and forth frantically, obviously excited for some company. Mandy hesitated in front of the store, unsure how to start. “How did you know?” Mandy simply asked. She had a feeling Ophelia would know what she was talking about. “Aah. That,” Ophelia began. “You do realize I’m a psychic?” Ophelia waved her hand in front of the sign announcing her title. “And now you do?” Ophelia’s voice had lost any sense of teasing. “What do you want to believe?” Ophelia urged. “Do you want everything to be in black and white…grey?” Ophelia’s eyes turned into the black marbles again. Mandy felt like they were boring holes through her brain. “Or do you want the sleepy town to open its eyes? Eyes you didn’t know it had? To be bathed in colors unimaginable? Awake and alive? Breathing, pulsing with life? The choice is yours Mandy. You can keep things how you’ve always perceived them to be, or you can open your mind to reality. A reality you never knew existed.” She began to cackle again, surely from the look of sheer horror on Mandy’s face. Mandy didn’t know how Ophelia kept doing this, but it was like she could read her mind. How would Ophelia know that Mandy had always considered York to be grey? No one knew that, not even Nana. Bobo cocked his head at Mandy and whined, like he was waiting for an answer. Mandy looked up from the dog to Ophelia. “I…” Mandy didn’t even bother finishing the sentence. “What would Mary want you to do? She didn’t have a choice, but you do,” Ophelia knowingly said. “How do you know about Mary? What do you know?” Mandy asked, realizing this is what she had come here for in the first place. “My family stories were handed down the same way yours have been, the same way everyone’s are. My talents were handed down the same ways yours have been, as well,” Ophelia winked. “What are you saying?” Mandy asked, hating that she sounded so thick and dumb to herself, but she needed clarification. “Mary Nasson was your ancestor. She was a brave woman. I’m sure she would have wanted her future descendants to be brave as well,” Ophelia said. “I can tell you more for ten dollars!” Ophelia snorted and began cackling again. Mandy sighed, aggravated beyond belief. “I’ll just take my chances in the dark scary woods,” she said sarcastically. She stood up to leave but first gave Bobo a pet on the head. He was practically turning back flips in front of Mandy’s feet, trying to get her attention. “Be careful out there then,” Ophelia cackled, somehow managing to make her voice sound ominous between the laughter. Mandy shook her head and walked back towards the parking lot, her car, and home. I hope you all have enjoyed “meeting” me and reading about my book and I hope at least some of you will give my story a chance! If you would like to read more excerpts, or see pictures of some of the actual places in York Beach, ME, that appear in my book, you can check out my blog here: http://enchanted-rachelsbook.blogspot.com/ I would love to hear from all of you with comments or questions and will do my best to get back to you in a timely manner. I would also be more than happy to be a guest on anyone’s blog, such as doing a guest post or interview, and would also be more than happy if anyone wanted to review my book for their blog! I can be reached at rwells179@gmail.com. Thank you, Rachel for coming by today. I will be reviewing Enchanted soon! I am excited by this one. It sounds fascinating. I love the story behind the book. I hope you will put this one on your TBR. Please leave a comment with your thoughts below. I am sure if you leave questions for Rachel she will be happy to respond. I enjoy reading about fellow Indie authors! :)Yes, aside from editing, promotion is the hardest part. Getting your book noticed in an ocean of books, it's very stressful. But wonderful bloggers like Cristina make it fun! Rachel, your book is intriguing. I'll definitely be checking it out. Congrats, and Good Luck with it!!! Hi, I just want to add my congrats on getting your book published, Rachel. I love quiet and/or shy protagonists because I think they have more to overcome than most others. And Cristina, what a wonderful thing you're doing to help indie authors! Congrats on self publishing and good luck Rachel...I await the review!